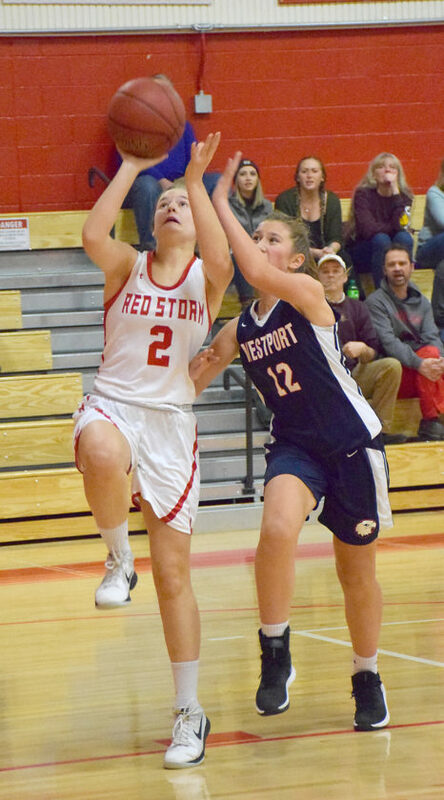 SARANAC LAKE — The Saranac Lake girls basketball team opened its season at home Thursday night, and despite a 25-19 loss to Westport, the Red Storm see the an opportunity for improvement. Both teams got off to a slow start, but Saranac Lake senior Mistre Newton put the first points of the night on the board with little more than two and a half minutes left in the quarter. 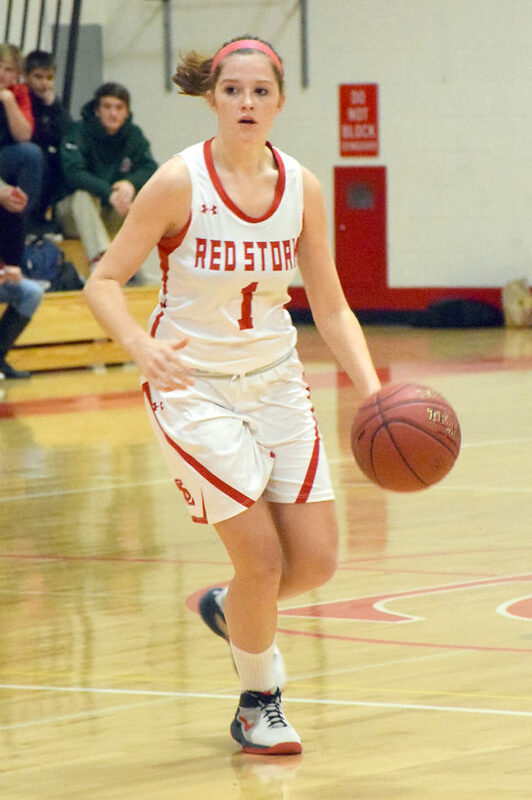 With less than a minute left in the opening period, Red Storm forward Olivia Bell made the third shot of the night so the home team ended the quarter up 4-3. There was lots of sloppy play on both sides, with double-dribble and traveling violations creating a lot of turnovers and preventing either team from gathering momentum. The Eagles managed to take the lead midway through the second quarter, and the teams traded leads for the rest of the half. Newton put the home team back on top with three minutes left in the quarter, which seemed to spark Saranac Lake as Alex LaDue broke up the inbounds pass and kept the ball under Westport’s hoop. The Eagles went into the half up 8-6. Newton tied it up at eight apiece about 15 seconds into the third quarter, but Westport pulled away again a couple minutes later. The Eagles began to pull away as Saranac Lake just couldn’t get the ball to fall, on field goals or free throws. Westport was up 15-8 until Bell sank a pair of free throws to bring the home team back within five. LaDue then drained a 3-pointer with five seconds left as the Eagles carried a 17-13 lead into the final quarter. 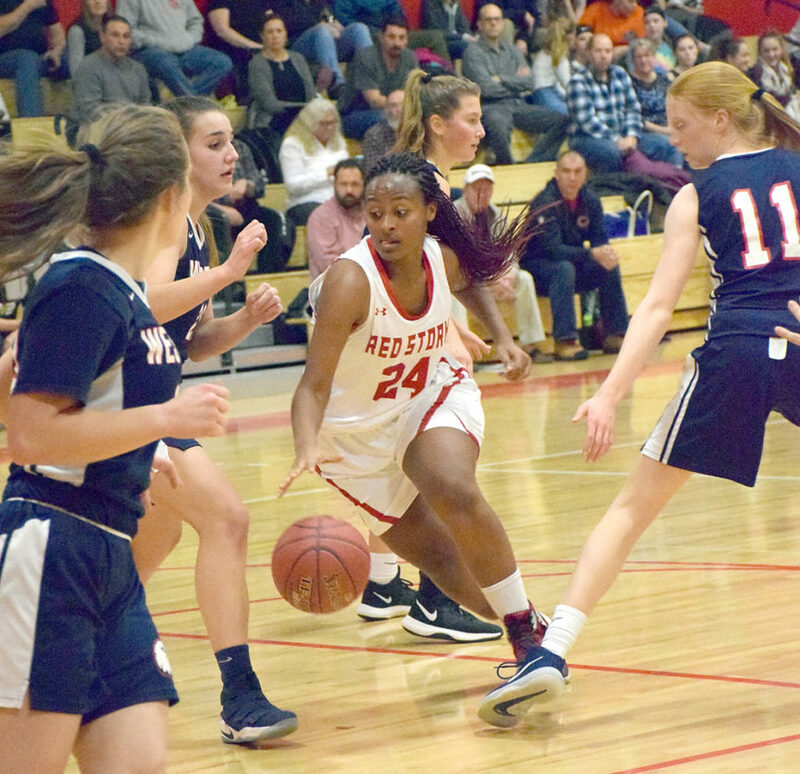 The Red Storm outplayed Westport early in the fourth, but continued to have bad luck at the rim. Nora Glover broke the scoring drought on a feed from Newton, but the Eagles were still up 21-15 with 90 seconds left in the game. Saranac Lake’s Maggie Carpenter kept the game within four on a jump shot from the right side, and guard Kylee Clark put one away with less than 30 seconds left to pull within three. But Westport’s Rachel Storey kept making free throws, and the Eagles moved to 1-0 on the season with the win. Storey led the scoring with a game-high eight points, and Newton put up six for the Red Storm. LaDue had three, Bell put up four and Clark, Carpenter and Glover each contributed two in the effort. Clark is one of only three returning seniors, but said she thinks the team will keep getting better as the season goes on. “I thought we played really well, I was really impressed with what we had,” she said. 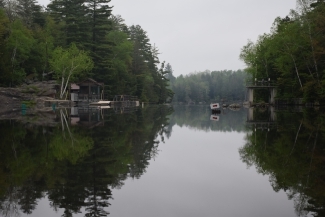 “We’re really young; we have three returning seniors and four seniors total. Westport coach Hokey McKinley said he was pretty happy with his team’s start to the season. “Our defense was really good, really solid the whole game,” he said. “Offensively, we struggled a little bit, but that’s to be expected this time of year. So I was really happy. First year Saranac Lake girls coach Chad LaDue said his team needs to put away the shots they get. “I thought we played hard, I thought we did pretty much everything well. We just could not get the ball in the hole,” he said. 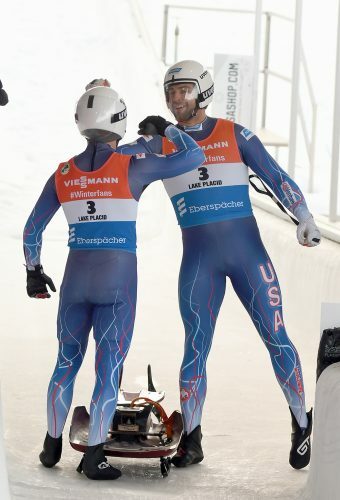 “We had a lot of looks that we just didn’t finish. We held them to 25 points, but that’s not the issue. 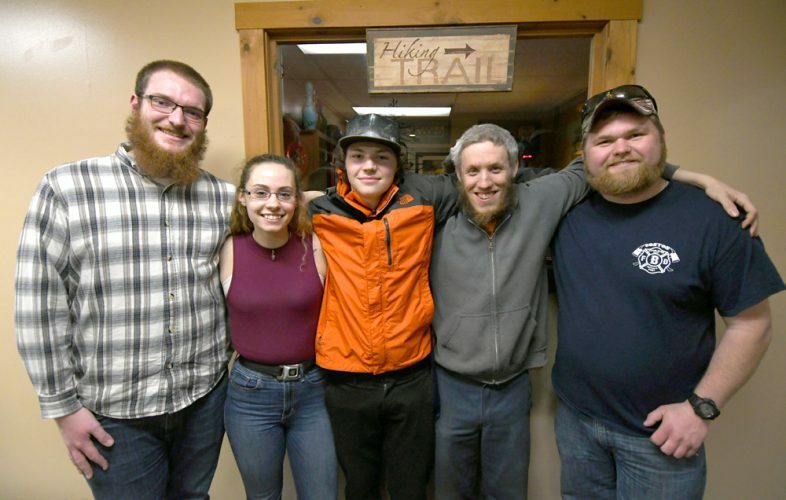 Saranac Lake next hosts Lake Placid on Tuesday, Dec. 4 at 5:30 p.m.